The Water Sleeping Pack is a re-purchase because I went through the first one way too quickly. so I'm guessing the packaging is not the same anymore. 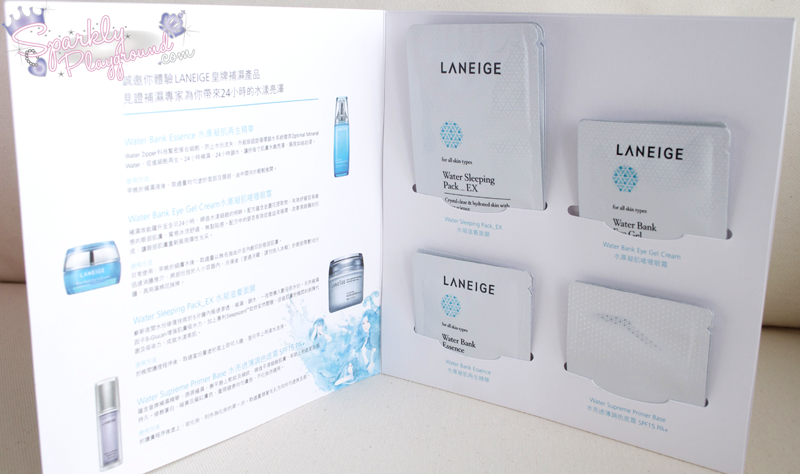 My Laneige haul isn't very big but I always bought it from Sasa and Bonjour, just never through their HK flag store. So because I spend over $350-$380, I became their member and got the below testers package. 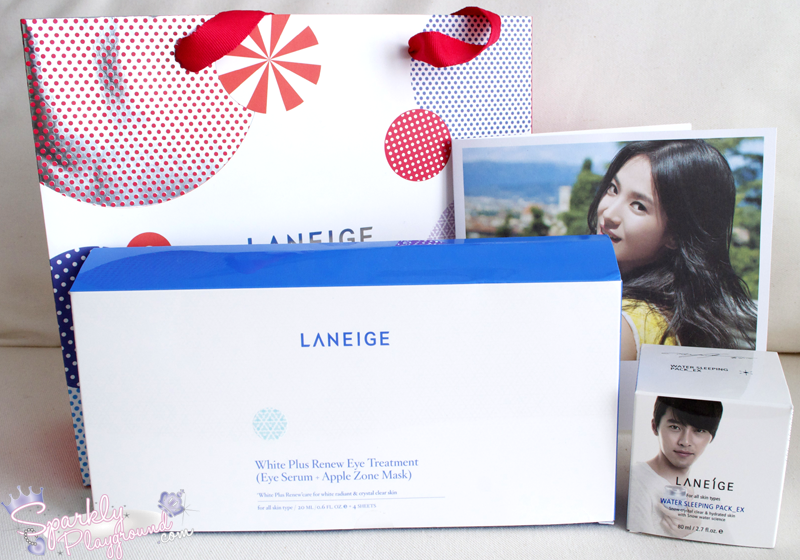 In the package, it consists samples of their 4 winning products! I have tried a few of their products and I can't wait to try more! So far, I'm really loving their Water line. I'm trying to pump out a lot of blog posts right now and yet there are lots of events popping up all around Toronto. Definitely not easy doing it all alone from photo taking, travelling around, reviewing, putting my face into everything and everywhere. Then of course there's the post production which is editing, typing the post and making sure that the content isn't boring. However, I'm not complaining - I love everything I'm doing right now. It's really rewarding and I love reading your comments. I will be replying comments really soon! Thank you for reading! !